Keturah assists clients in a variety of federal regulatory matters including compliance with energy and environmental laws. Her focus includes motor vehicle air emissions compliance, specifically state and federal greenhouse gas emissions standards and California zero-emission and low-emission programs, the Federal Energy Regulatory Commission compliance, and the US Department of Transportation Pipeline and Hazardous Materials Safety Administration compliance. While a student at The George Washington University Law School, Keturah was an associate member of the International Law in Domestic Courts Journal; a member of the Alternative Dispute Resolution Board; a research associate for the Joint Center for Political and Economic Studies; student director of the D.C. Superior Court Domestic Violence Clerk’s Office Pro Bono Project; and first-year law student coordinator and Patricia Roberts Harris Awards Dinner co-chair for the George Washington University Black Law Student Association. Following her first year of law school, Keturah was a 1L Diversity Summer Associate at Van Ness Feldman. Keturah returned to Van Ness Feldman as Summer Associate following the completion of her second year of law school. 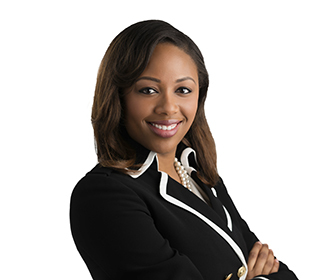 Prior to law school, Keturah was a Florida Gubernatorial Fellow and spent her fellowship at the Florida Fish and Wildlife Conservation Commission (FWC). While at FWC, Keturah drafted the agency’s position on the Endangered Species Act. Keturah holds a Master of Public Administration from The Florida State University with a certificate in Emergency Management.